The saying “mind your own business”, now how many times have I heard it? I don’t know but it’s one time too many. Sometimes I have thought it is correct, I need to mind my own business. At other times for the same kind of situation I have thought that I can’t stay minding my own business. What is correct the correct attitude? “When you see an evil act you have to stop it with your hand. If you can’t, then at least speak out against it with your tongue. If you can’t, then at least you have to hate it with all your heart. Mind Your Own Business! Can Muslim Ummah be secular? How many times have you asked your fellow about her interests and she had replied ‘It is none of your business?’ How many times did you ask your friend about her party wear and you received a staring gaze of annoyance? Maybe not as much as you ask your mate why she exposes herself or when you inquire about her Salah and she bluntly refuses or would much sarcastically reply, “Mind your own business!”. Brother Awais has graciously given permission in the footer of his blog Islam and Psychology to freely reproduce his articles. But his generosity prompts me to ask you to please visit his blog and Continue Reading About can a Muslim mind his own business? This maybe not related here but it also reminds me a saying I read which said “Taking the path of least resistance makes rivers and men crooked” Don’t take the easy way out. Fight for what you believe. This entry was posted in Afghanistan, Arabs, Blogging, Caliphate, Central Asia, Dawah, Governments, Iran, Iraq, Islam, Islamic World, Israel, Kuwait, Lebanon, Life, Media, Middle East, Misconceptions, Moors, Musings, Muslims, Pakistan, Palestine, Propaganda, Refugees, Religion, Saudi Arabia, shia, South Asia, State Of Islam, Sudan, sunni, Syria, Terrorism, Thoughts, Tunisia, Turkey, UAE, Ummah, United State of America, USA, Uzbekistan, War. Bookmark the permalink. 2 Responses to Mind Your Own Business! Can A Muslim Mind His Or Her Own Business? I’m Muslim, but what I determine is necessary to be a follower of Islam may be different than your determination. 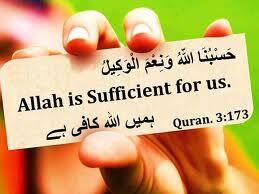 That’s called life and it’s between myself and Allah. Not everyone, even among the ummah, will agree about religion or its practice (let alone other people within the religious diversity outside of the ummah that exists within any modern pluralistic society). Not minding your own business leads to conflict, oppression, and lack of growth towards Allah (as we become more focused on other people and less time on being a true reflection of Allah). Allah judges each one of us; we should not be judging each other. 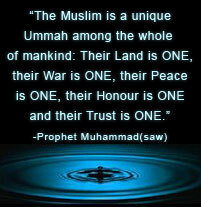 The Prophet Mohammad, peace be upon him, was the last prophet to speak for Allah to the people. Telling other people how to practice Islam is like usurping power Allah did not bestow upon you. Thus, you should mind your own business (although that does not mean you should not have compassion for all people) or not strive to be like Allah. You should respect the autonomy of others and not be prideful and stand in the place of Allah or His prophets.